I am sure the characters in your head had long full lives but it will be nice for us to continue the story. Congrats! Congratulations! 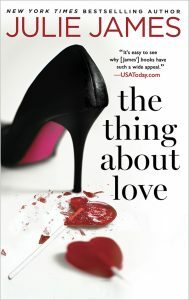 I have read all your books (and loved every one) and have always thought your books would make awesome Rom Com movies! So I’m glad to see one is going to TV! Can’t wait! Thanks, Sara! Glad you enjoyed the books! Congratulations! Love love looove all your books!!! I find myself reading them over and over. (I’m ashamed to admit how many times I’ve read ‘Practice makes perfect’). I’ll look forward to seeing your book on my TV screen. Oh this is sweet news! I just found your books about half year ago and have now read them all. Total evening savers! Great to hear these news, will be excited to see how it comes together.